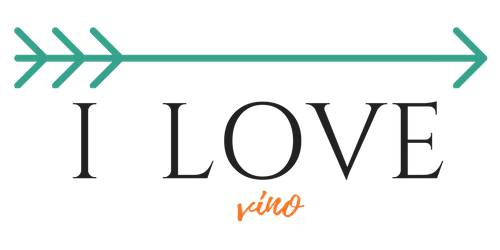 Living in U.S.A., with a relatively short history, I am always fascinated to find stories behind some of the oldest vineyards, kept in the family for generations. This estate is one of them. 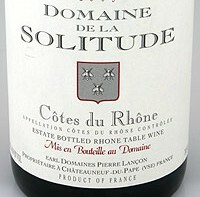 The Domain de la Solitude is owned by one of the oldest families originating from Châteauneuf-du-Pape. Traces of the MARTIN family are found as far back as the 15th century. Their family tree in Italy is traced even farther back, to the very old and illustrious BARBERINI family. François BARBERINI, born in Tuscany in 1264, lived in Provence for several years. The most well known member of the family, Maffeo BARBERINI, apostolic nuncio to Paris (1604-1606), was voted Pope under the name of Urbain VIII. Two of his nephews became cardinals and part of his family came to live in Avignon. In Châteauneuf-du-Pape, the family history records start in 1604 with Jean BARBERINI (his name was Frenchified to BARBERIN). His granddaughter, Hélène BARBERIN, married Claude MARTIN, the owner of scattered vineyards. He was also an apostolic notary and clerk for the Châteauneuf-du-Pape community. Their grandson’s wife, Françoise DELOUME, brought in her dowry “La Solitude”, which had been in her family’s possession for some time. Remains found on the property testify to the long history of occupation of the site. Under their son’s care, (Paul-Clair-Agapet MARTIN) the estate experienced a blossoming expansion. he left behind a very precious journal with a wealth of information regarding vine cultivation, its cost and results. He was capable to sell his winem, named “La Solitude” all the way to England at times, when the name of Châteauneuf-du-Pape didn’t even exist. The family owns labels dating from this period as well as bills of lading from the port of Marseilles. Isn’t it fascinating? What a rich family history. The current generation, Paule Jacob who married Pierre Lancon are now taking care of the property. The family owns close to 50 ha of vineyards, situated predominantly in the Gard region. The most of their vineyards are planted with red varieties, mostly Grenache and Syrah, but they also grow Cinsault, Mouvèdre and about 5ha are planted with white varieties. Although the family’s flag ship wine is their outstanding Châteauneuf-du-Pape, when I first tasted this Côtes du Rhône, it took my breath away. And I wasn’t the only one. This unbelievable gem, that at the time cost about $ 8.00 a bottle, was superb, rich, full of character, spicy and almost as good as their collectible Châteauneuf-du-Pape! I remember the noises in the tasting room. The owner of the company, I worked for at that time, (who discovered this property and imported it directly to U.S.A.), had a very satisfied smile on his face. “So you think you can sell this?” – he asked us. “How many do we have?” one of the most experienced sales guys answered with another question. “We got in about 80 cases to start with,” our owner replied. Why do I tell you all this? Because there weren’t too many wines that would get this kind of attention among professionals, throughout my wine career. We have tasted some of the best wines of the world and one’s palate gets easily spoiled. When you come across something as good as this wine, for under 10 bucks, that’s a bottle you can’t miss! Even today, when this Côtes du Rhône costs about $ 13.00- $ 15.00, it’s an incredible steal for the money. I was lucky to discover this wine at one of the wine shops in CT for about $ 13.99 and was anxious to re-taste it after a long time. Dark ruby color, beautiful aroma of dark cherries, ripe plums or blackberries. On the palate this medium body red offers notes of ripe dark fruit with spice notes of cloves, black pepper and cinnamon. Bright fruit and freshness, pleasantly balanced with acidity made it age well and pair great with variety of foods. It is also delicious on its own, with just aged cheeses and crackers. This red offers you a long finish with silky tannins and lovely dark fruit flavors. Big but not opulent, still my favorite from many Côtes du Rhône reds I tried. Great wine to drink with your summer barbeque and grilling!